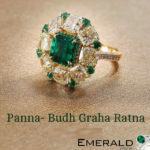 Emerald Gemstone is considered as the most valuable-able and rare gemstone among all the gemstones. This gemstone is best suitable for those people whose Mercury is in favor in their horoscope. This gemstone helps to gain “financial growth and gives bright future” to its wearer and it is also famous for its attractive healing properties, but if this gemstone will be worn with the wrong combination of another gemstone then the consequence of that must be inauspicious. 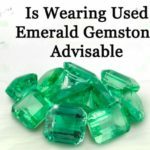 In this blog, I will discuss the gemstones which should not be worn with emerald gemstone or contradicting gemstones with emerald gemstone. As per astrology, Mercury is ruling planet of emerald. The enemies of “Mercury” planet are “Moon and Mars”. The stones which are related to these planets are “Pearl and Red Coral”. Wearing these gemstones together means, taking two different medicines which have opposite reactions, may harm the person. It provides the grace to the wearer’s personality, but the ruling planet of pearl is “Moon” and as per astrology the combination of emerald and pearl gemstones is very dangerous. 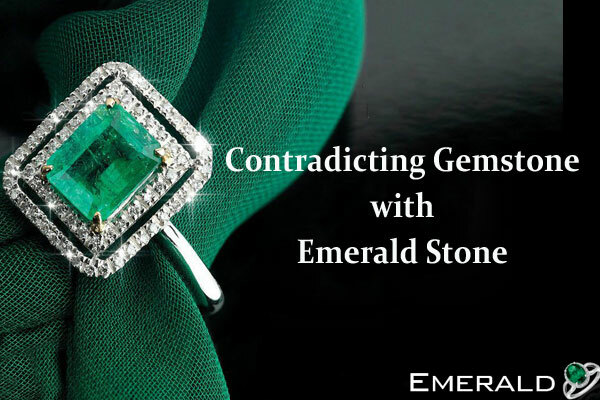 Both emerald and pearl are conflicting gemstones to each other and astrologer not recommend anyone to wear them together. Wearing emerald and pearl gemstone together can give the negative consequence to its wearer like by wearing these gemstones together, a person may face the financial loss or it can provide the health issues to its wearer. Alike pearl, red coral is also incompatible gemstone to be worn with natural emerald gemstone. “Mars” is the ruling planet of “red coral” or “Moonga” and “Mars” planet is considered as the biggest enemy of the “Mercury” planet. According to the astrology if the combination of emerald and red coral will be worn together then it may bring bad luck for its wearer for the rest of his whole life. According to the Vedic astrology, yellow sapphire and emerald gemstones are also contradicting gemstones to each other. Yellow sapphire represents the planet “Jupiter” and emerald is co-related to the planet “Mercury”, both the planets are considered to be the healing planets among all the planets. The energies of these two gemstones are totally different from each other because of their ruling planets. Although, both the planets are considered as the healing planets, these two gemstones don’t fit together. Wearing these two gemstones together means, to invite the problems or putting yourself into the troubles. Wearing yellow sapphire and Emerald will never ever work together. Because whenever the yellow sapphire will give the positive effects to its wearer then the emerald will release the malefic vibrations and vice versa. In short, the negative effects of both stones will overshadow the positive vibes of both stones. 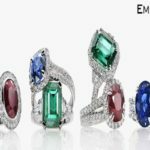 In a nutshell, I would like to say that before wearing any gemstone or the combination of any two gemstones, a person must consult to an expert astrologer to avoid the greatest loss which can affect your future, so adorn gemstones according to your horoscope and with the best advice to have benefits in the future. 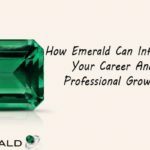 How Emerald Can Influence Your Career And Professional Growth? 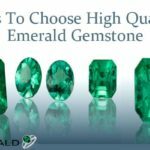 How To Choose Best Quality Emerald Gemstone?